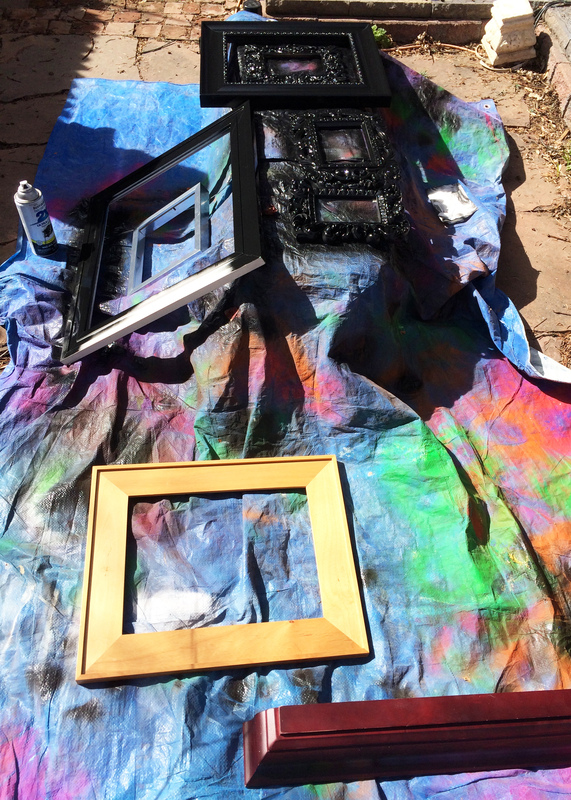 Clean up the Art Wall: Paint the Frames. Easy & Fast DIY for a Pro Look. 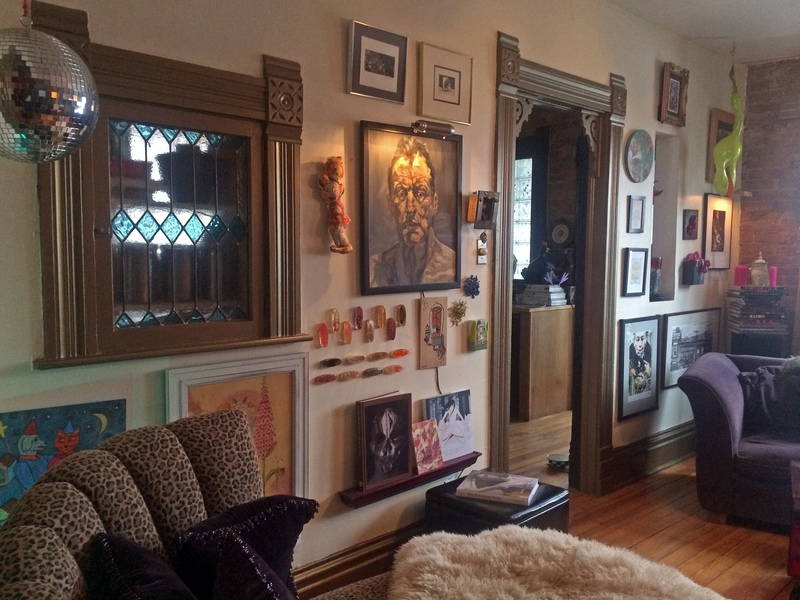 This weekend I unified the art on the “Art Wall” by simply painting the frames. 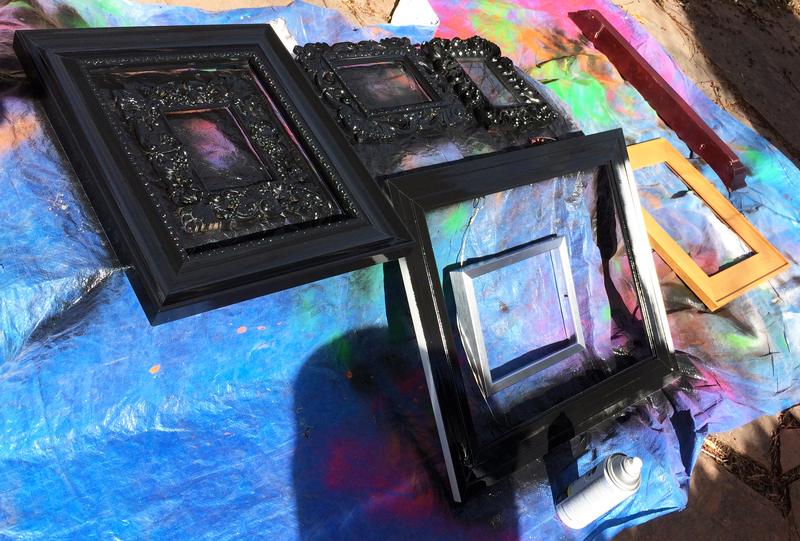 A hodge-podge of thrift store frames is made to look a bit more professional by painting them all the same color. In this case I chose black, as there were already a few black frames on the wall. And I like black. 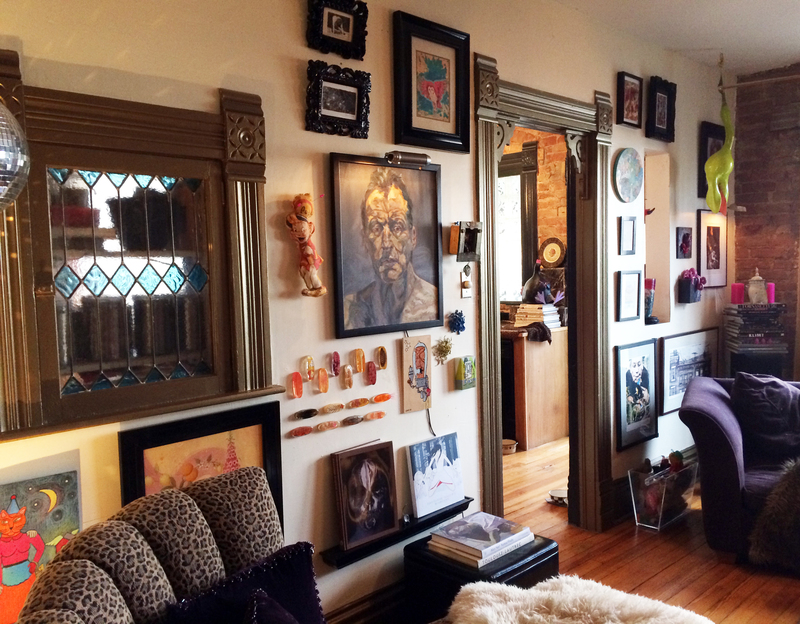 Yes, you will notice a couple new frames and a new screen print. I snagged these at a garage sale this morning (screen print $5, frames $2 each). First, I removed everything from the frames and cleaned the dust off. Then it was off to the back yard on a rare Spring-like day in February to do a little spray painting. I used 2X Cover in Black Gloss by Rustolium. I love this paint. Two coats, no priming, worked great. When they were all dry, I replaced the art and hung them back up. Easy-peasy. …a little cleaner, a little sharper. I like it. The Art Wall is almost full now. Just a few more cool artsy finds to go! What projects did you tackle this weekend? I’d love to hear about it in the Leave a Reply/Comments section. This entry was posted in art, decorating, DIY, home and tagged art, Art Wall, decor, decorating, DIY, hanging art, painting frames, picture frames, spray paint frames, thirft store frames, thrift store frames. Bookmark the permalink.